The national media frequently rank Cleveland and Northeast Ohio at or near the top of various notable lists. Increasingly some of those lists illuminate glaring disparities about our area. The ones that keep coming up seemingly in the negative are centered on our poverty level. Certainly pockets of our metropolitan areas are more than 30 percent comprised of residents living at or below poverty levels. 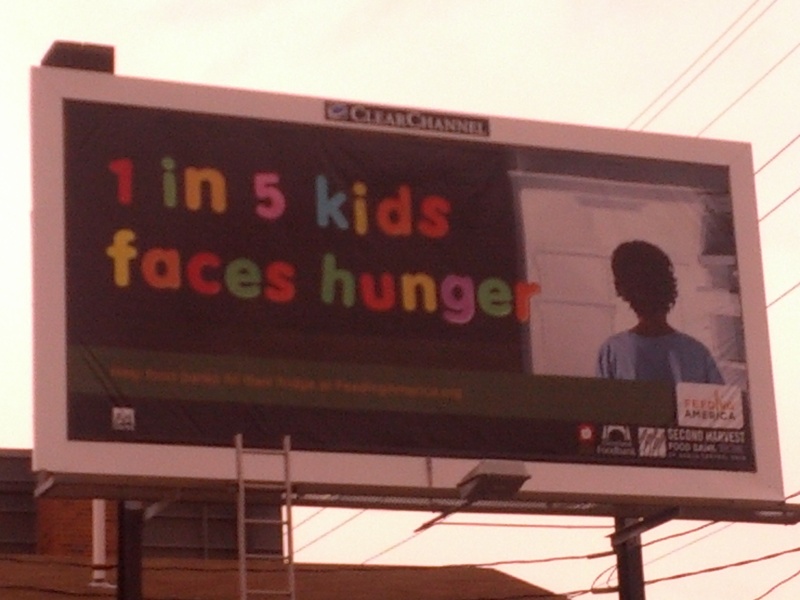 Each day one in five children faces hunger; one in six is hungry as you read this. Where we fall on this list should inspire rather than discourage us. A line that reminds me of the resiliency of the human spirit and the amazing capacity to begin again is, “He who falls lower can climb the highest for he starts from lower down.” This resonates with me when I think of how business can both benefit and serve the part of its workforce that is suffering. It is not my intent to argue the merits of the old adage about feeding a person versus teaching one to fish so they can feed themselves. First things first — feed, clothe, and shelter those who need it and teach, inspire, nurture, mentor, educate, share, leverage, and train. The pathway out of poverty is to continue to improve and make available viable sustainable opportunities for the workforce, industry, and commerce. The Teach One to Fish versus Feed Them when and where they may require is a necessary combined mentality to help eradicate poverty and increase the chances of prosperity. During the ‘90s I volunteered for five consecutive years at the bread line at St. Malachi’s in Cleveland. I spent practically every Wednesday from noon to 3 p.m. there, even sleeping one Saturday night at the hospice to relieve caregivers. 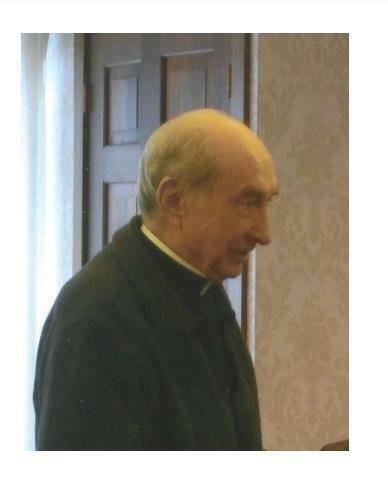 I learned many life lessons while serving there, most of which were taught by Father Paul Hritz. I was honored and privileged in that time to have served under his guidance in the bread line, at the Monday night meal, the clothing center, the shower program for the homeless, the detox center, and Malachi House. This latter lesson was hard learned one day, in fact, when I asked a man if he wanted coffee with his sandwich at the bread line. He said, “Yes.” I handed him the steaming hot coffee, and he exclaimed, “This is cold,” and threw it in my face. It was indeed hot, and I came out the door and scuffled with him. About a year later the same thing happened. But as a result of feeding and caring for others over that time and reflecting on Father’s words, I handed the gentleman another cup, wished him well, and cleaned myself up. The volunteer work was indeed serving and changing me. There was an amazing reciprocity in the seeming “giving”. It is important for a company, no matter its size, to encourage all employees to volunteer as a way of supporting the community. We at BlueBridge Networks are becoming more involved in contributions to the community by seeking out institutions we can support. As we grow, we continue to look to the community and search for places in which we may fill a supportive niche. The size of a company matters less than its intention and willingness to participate in the civic arena. Remember, small and large contributions of time, talent, and treasure add to the whole. Whatever a corporation or institution has to give counts more than the end result. The effort is galvanized in a chain link among persons. It is important to note that whatever is attempted helps to set a tone in the office. Ordinary efforts over time begin to uphold a legacy of giving and reciprocity while reminding employees that what they do matters and makes a difference and impacts on the greater good of a community. That adds up to job satisfaction. This can prove to be a terrific tool to both attract and retain human resources. In order to build a case for community involvement, it is important to find synergies to a company’s most important asset — its human resources or, better said, its employees. What matters most to them? An obvious way to learn as much is to survey the company and detail common missions and themes found. A big win is when one can mix the company’s business needs with the community’s. BlueBridge Networks is in the IT data business, and it finds itself able to help bridge a gap — to serve as a link in the chain, a bond in a connection between students and industry in education by serving on the Northeast Ohio Regional Information Technology Engagement (NEO RITE) Board. http://www.getithere.net/About+RITE/default.htm. It is a collaboration of senior IT executives who are committed to advancing the regional IT industry by facilitating robust interaction among employer, education, and community stakeholders. Board members originally convened as part of a state initiative to identify and eliminate “skills gaps” that were resulting in a lack of qualified IT workers and a difficulty filling open positions. Board members agreed that these skills gaps were real, that the ability to find skilled IT talent was critical to their success in a competitive marketplace, and that sourcing this talent locally offered the biggest advantages to their firms. A united industry voice offered the potential to shrink those gaps by enhancing industry feedback to educators, spreading awareness of IT careers, and promoting best practices in experiential learning. That potential was so promising, and initial feedback from the educational community so positive, that these individuals decided to formalize their commitment to move the above initiatives forward. For example, one of the biggest challenges facing the ever-growing IT data industry is an educated and capable work force able to sustain the growth and opportunity. This is a terrific example of where serving in the community and directly helping others creates economic opportunity and facilitates growth in the entire region. Certainly the effort is seemingly self-motivated, yet the end result is sustainable growth stability and change for all. The value of employees feeling a sense of efficacy from its involvement helps to build company morale. Time and production equal credibility, and when members of a company deliver in the community, they are seen executing and making the region a better place. Repetition confirms and intensifies, and a strong and lasting way to deliver a company’s message to a community and build its brand is for it to give back in meaningful ways. Building a giving company culture helps to attract and retain talent. People wish to have a held sense of efficacy — the knowledge of knowing that the company they serve day to day has a genuine desire and ability to affect change and make a difference. We are fortunate to have leading institutions team up with government and social service agencies to help in our community. 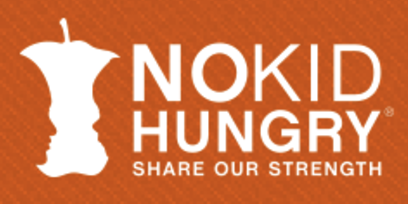 Regardless of how big or small our companies are, we can engage in feeding those in need. We have one of the best food bank agencies anywhere. http://www.clevelandfoodbank.org/. According to the Cleveland Foodbank, throughout Northeast Ohio one in six people is food insecure – meaning they may not know where their next meal will be coming from. The Cleveland Foodbank seeks to bridge the meal gap, connecting individuals with the nutritious meals they need to succeed. The Greater Cleveland Foodbank is the largest hunger relief organization in Northeast Ohio, having provided more than 40 million meals in 2013 to hungry people in Cuyahoga, Ashtabula, Geauga, Lake, Ashland, and Richland counties. Our mission is to ensure that everyone in our communities has the nutritious food they need every day. Call them and plug your team in. All over our city organizations are bridging the education gap. One such organization I enjoy bringing BlueBridge support to is Lake Erie Ink. http://lakeerieink.org/. The not-for-profit 501(c)3 provides creative expression opportunities and academic support to youth in the Greater Cleveland community. The Cleveland Playhouse, Cleveland Museum of Art and other longstanding institutions help in the creative stimulation of our youth. Call on these organizations to see where you can send mentors or supplies and donations. New industries and reinvention are occurring. A shining star is Ivan Schwarz, president of the Cleveland Film Commission, http://www.clevelandfilm.com/. The organization’s vision is to achieve increased economic development in Northeast Ohio by using the artistic and culturally enriching activities of film and other media production to strengthen the workforce, support the media production industry, and attract media production to the region. Its mission is to promote the increase of media production in Northeast Ohio using effective strategies for attraction and workforce development including building an artistic infrastructure through film. A reinvention in a region is helped by empowering new industries. One such industry that is gaining traction and showing promise is indeed the film industry. Like information technology and health service and bioscience, this industry effort begins in the K-12, where we can help attract, engage, and facilitate internships and mentoring. Mr. Schwarz has closely worked with government and business leaders to begin and continue the work to craft a new emerging economy. Our workforce, who is plentiful when including the ones who wish to be retrained and those returning from military service while looking to stay here if given the opportunity, are indeed ready for the challenge. Mr. Schwarz is working with colleges and institutions to architect training and curriculum to develop and maintain this sustainable new industry stream. As a young camper 40-plus years ago at a YMCA Camp, Centerville Mills, in Bainbridge, I was taught the meaning of community and strength in numbers by a young camp counselor. Sitting around a campfire he introduced sticks to the circle. One by one he passed out individual sticks to us and asked us to break them. We all broke our singular sticks rather easily. Then he passed us all another stick and had us all pass them to one fellow camper in the circle. He asked each of us to try and break that bundle of sticks. None of us could do so as we passed it along to the camper next to us. Clearly, around that campfire, he demonstrated all we ever needed to know about strength in numbers and how valuable we are to the whole. Together we were strong and unbreakable. Alone we are fragile and not as strong. We needed each other. Our legacy as a city for those who care to admit it is that many of our citizens who came here did so because it was not going well where they had come from — thanks to famine, persecution or limited economic opportunity. I suspect it is a reason we are one of the highest charitable giving cities per capita. Our United Way is one of the most efficient and prolific in the country and the world, as are our dioceses and Jewish Community Federation. The doors of our city remain open, and we remain a city that welcomes all. Advocates and civic leaders like Margaret Wong (http://www.imwong.com/) make it possible for legal immigration to remain a part of the American dream and way here by lifting one another up and recreating a spirit of continuing reciprocity and continuity. A young Northeast Ohio leader I strongly respect, Jose C. Feliciano Jr., the commissioner with the Ohio Commission on Hispanic/Latino Affairs (http://ochla.ohio.gov/), recently spoke with me and reminded me articulately of the how and why to make the region a better place. That is why many of us remain optimistic and committed to serving our community and helping making Cleveland a better place. Despite any evidence to the contrary, we know better and can do better. We are a people with a collective resilient DNA. This entry was posted in Visionaries and tagged volunteering. Bookmark the permalink.